Purpose and Criteria: This prize is awarded in memory of Roger W. Russell, who was a Lifetime Distinguished Fellow of the CNLM. The award is funded by an endowment established in 1998 by Roger’s family, friends and colleagues. 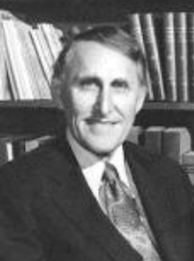 The purpose of the award is to recognize an individual who emulates and demonstrates Roger Russell’s (1) Dedication to exacting scholarship in the conduct of research, (2) Personal attributes of integrity and collegiality, and (3) Steadfast and strong support of the goals and programs of the CNLM. Eligibility: Must be a graduate student or postdoctoral fellow who is in the laboratory of a CNLM Fellow on the UCI campus and who has advanced to candidacy within the last two years. Requirements: CV/resume (max 2 pages), unofficial transcript (for graduate students only), and personal statement addressing dedication to research and scholarship, any teaching or mentorship experience, and service contributions to the CNLM (500 words).